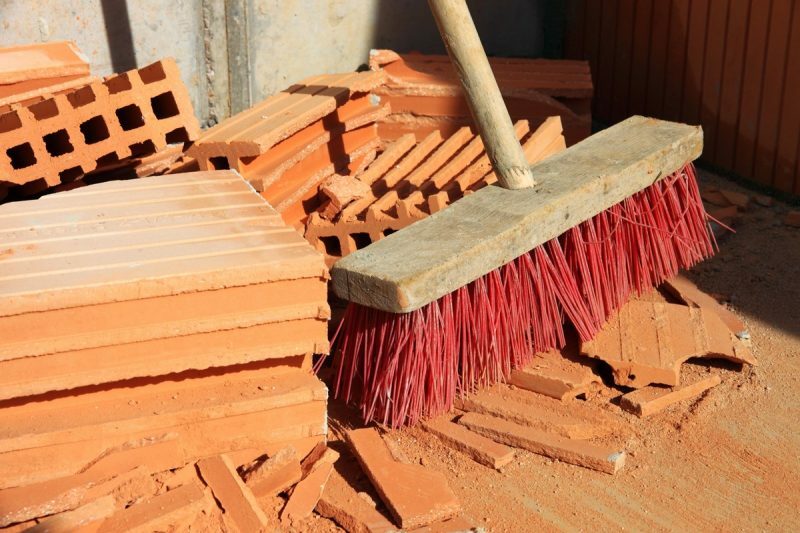 When renovations like flooring, painting or regular repairs are done inside the house, it usually results in construction debris like wood chips, broken nails, paint spots, metal pieces along with fine dust on the floor. Though sweeping and wiping the floor with wet swab may clean it to some extent, there are always some tough stains and scars on the floor or furniture that is hard to remove by regular cleaning methods. It is advisable to take the assistance of professional cleaning services after remodeling or decoration work has been carried out at home to remove dirt and grime along with stubborn stains and return it to its former glory. Windows and doors have a tendency to catch dust and grime from both inside and outside the house during renovation. After builders cleaners should wipe down the doors and windows along with sills, skirting and panes to remove dirt and stains. Ensure that if the cleaning staff is using chemical based liquid cleaners to wipe the doors and windows it should not damage or discolor the wood and laminate in any manner. If the renovation or painting has been done all over the house, then the cleaners should scrub cupboards in all the rooms along with the rims. Cupboards and wardrobes with wooden doors have to be polished with wax to make them shiny and attractive again as paint and other building materials usually wipe off their sheen during the renovation. Switches and sockets sometimes become clogged with dust during renovation so cleaning staff should clean them with appropriate safety equipment to avoid getting electrocuted. Never make the mistake of trying to wash away construction debris from bathroom drain as it will lead to clogging. Ensure that the cleaners remove all the leftover pieces and dirt using a dry vacuum cleaner in the bathroom and then wash the sanitaryware and metal fitting with light chemical-based cleaners to remove all stains and grime before applying polish to wooden surfaces. After all the walls, furniture, doors and windows, cupboards have been cleaned, ask your London cleaners about floor cleaning methods that are used by them for clearing junk and scars on the floor. In general, different types of floors require different cleaning treatments, so check if the cleaning team knows how to clean the wood or tiled floor in your house and restore its former germ-free existence. Usually, cleaning firms do not include cleaning of outdoor areas like balconies, patio, veranda or garage during “after builder cleaning services”, so get a clear agreement about areas that are included in cleaning services manifesto before engaging their services.